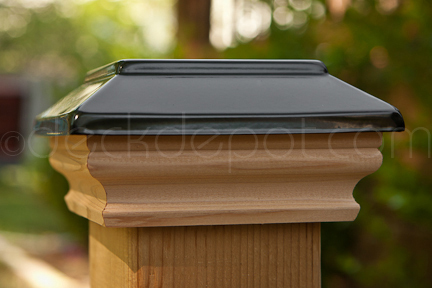 Available with high quality western red cedar or redwood skirt molding. Available in 5 different sizes from 3 1/2" to a full 6". All post cap sizes have an inside pocket depth of 1 1/2". All Nantucket items ship out via UPS Ground within 48 hrs or less.